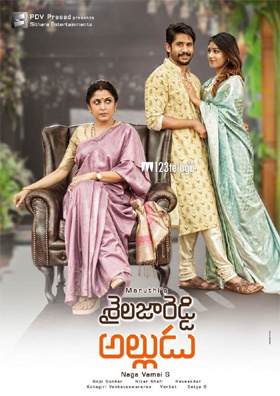 Naga Chaitanya and Anu Emmanuel’s most eagerly awaited romantic family entertainer, Sailaja Reddy Alludu, had wrapped up the entire talkie part last month. Currently, the film’s unit is canning a song on Chay and Anu in the picturesque beach paradise, Goa. SRA’s team has been shooting in Goa for the last 3 days. With this song, the entire shoot will be completed. The film’s first video single will be out on the 10th of this month. SRA is slated for release on August 31. Suryadevara Nagavamshi is producing the movie. Gopi Sundar is the film’s music composer.